The largest of three schools in the DfE’s Priority School Building Programme Barking, Dagenham and Newham Batch. 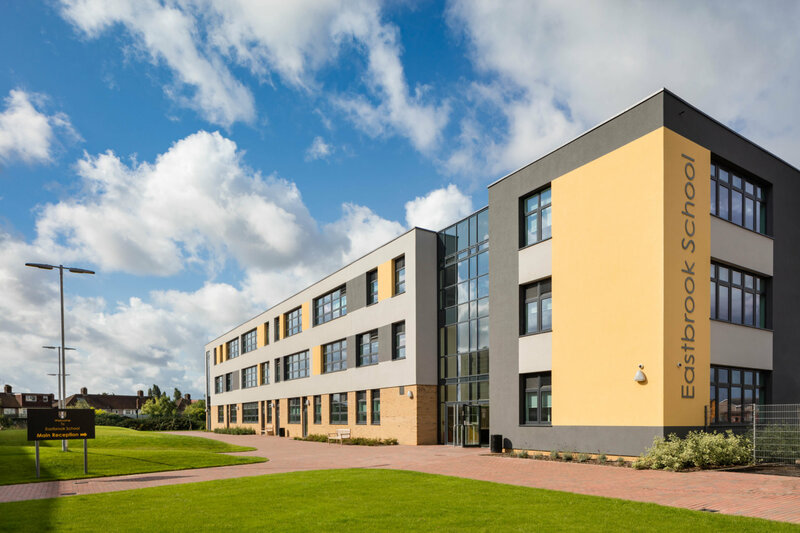 Built on Metropolitan Open land adjacent to the existing school, the project consisted of a three storey, 12FE, 1,800 place secondary school with additional two storey 3FE 630 place primary school, 39 place nursery and 400 place 6th form. Constructed on a live site, we worked closely with the school to ensure construction activities and subsequent demolition of the existing school were undertaken with minimal disruption to curriculum delivery and exam periods. Through a fast-track Selected Panel Member (SPM), following local competition, we successfully reached Contract Award two weeks earlier than originally programmed by the DfE, allowing works to begin early, providing certainty to meet completion for the start of term.